Not to be confused with the upcoming "Top 10 Favorite Performances of 2010," this column concerns the films, actors, and filmmakers I would cast my vote for were I given a vote in the Academy Awards, Golden Globes, etc. Please feel free to disagree. I've watched "Inception" twice since I saw it in July and coming into the final week of 2010 I was re-convinced that in my book, no leading actor had topped what DiCaprio did in that film. And then "True Grit" rocked my face off and I have to give Bridges his due. DiCaprio was near-perfect; it just so happened that Bridges was perfect, period. This category should be a good fight when the Academy Awards get here. This has always been the category that vexes me most. More often than not, the eventual nominees for Best Actress come from art house or period piece films that I have no interest in seeing. So I readily that my opinion here is less informed than the rest of this column. 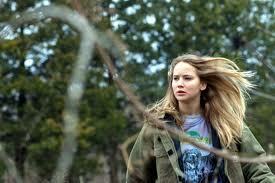 That said, Jennifer Lawrence was a revelation in "Winter's Bone." Stone is my runner-up almost by default because as much as I enjoyed her work in "Easy A," I just honestly didn't see many leading ladies this year that earned a mention here. Always a dog fight of a category, Best Supporting Actor always seems to be rich with great choices. As with DiCaprio in "Inception," if you'd asked me on December 28 who should win this award, it would be Renner in a landslide...and then I saw "The Fighter" and Christian Bale humbled my previous assumptions. A stunning all around performance. Talk about bursting onto the scene. Making what is essentially her big screen debut, Steinfeld provided the driving force behind "True Grit" and made a lasting impression, at least on this writer. Adams, always a favorite here at The Soap Box Office, brought a great deal of spirit to "The Fighter" during the second act when it desperately needed it as well as some grit that I thought really added to the film's overall impact. On a side note, Marion Cotillard was perhaps my favorite Supporting Actress of the year, Steinfeld and Adams spent more time actually on the screen and therefore earned a bump in the rankings from me. I've thought long and hard about this category. I'd talked myself into voting for "The Social Network" but after watching "Inception" again, I found myself no less impressed the second (and third) time around than I was the first time. That's something special in my opinion. 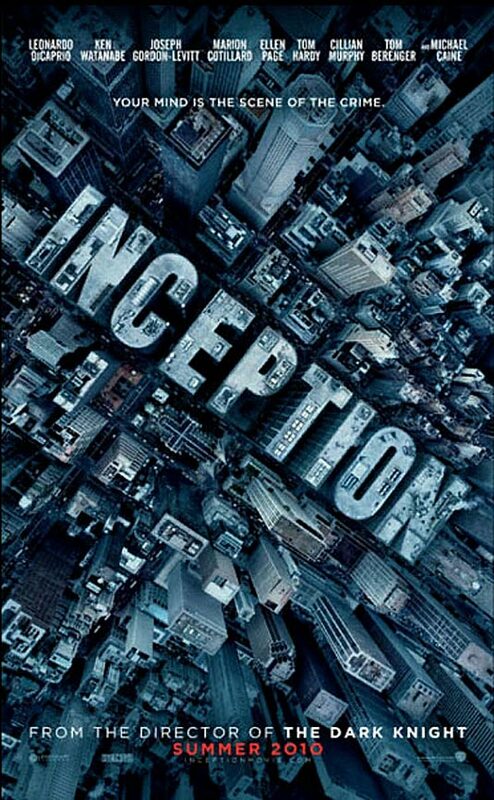 To spin a tale as immersive as "Inception" is and pull it off seamlessly is a tremendous accomplishment. 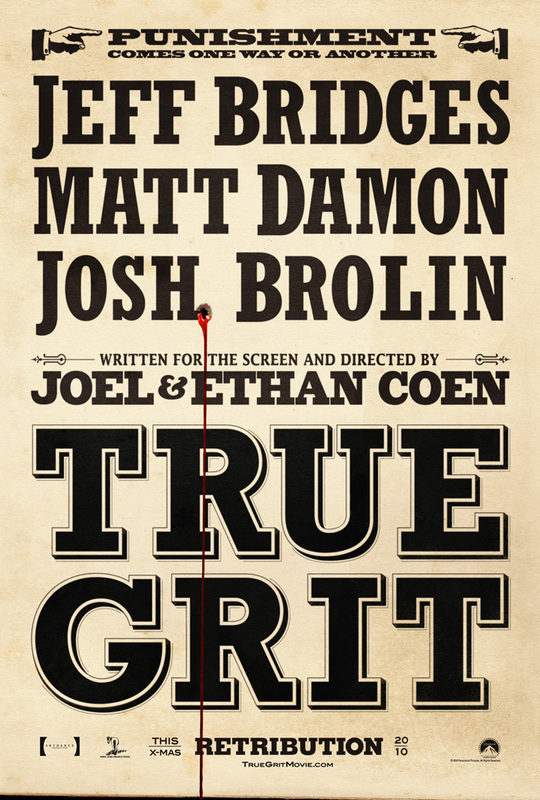 "True Grit" came on strong at the very end of the year and honestly, you could probably convince me to go with either film. Great films equal great races for Best Director. My heart would vote for Nolan whom I consider to be the best in the business. On the other hand, Fincher crafted what might be the most technically perfect film I've seen in a long time and deserves this accolade. Behind every completely original and highly complicated movie is an outstanding screenwriter. 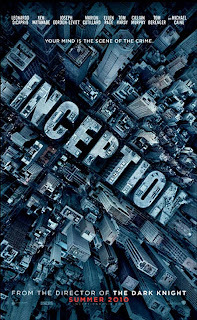 "Inception" hits on all levels from minute one. Complex but coherent stories are what make Nolan so great. "The Fighter" is more standard fare but still a significant, well written story. I don't really notice a film's score unless it's utterly fantastic, which this one certainly is. Not since "There Will Be Blood" has a score driven a film like Reznor's frenetic, contemporary arrangements did in "The Social Network." I feel bad that "Toy Story 3" is getting shut out here on a site that is unashamedly friendly to the animated feature. I simply can't vote for it over "Inception" or "True Grit." That said, no movie of 2010 had an emotional impact on me like this one did and it was truly a beautifully designed film. "How to Train Your Dragon" was a breakthrough for DreamWorks and leaves me hopeful for the future of their films. One last category just for the fun of it gives me one more opportunity to praise my favorite movies of the year. "Inception" got a couple of different posters but the one posted above was my favorite. A rich design that gives away absolutely nothing about the film...love it. 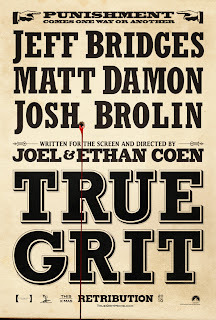 But seriously, I've become obsessed with the "True Grit" poster. Wow! Leave it to the Coens to make a perfect advertisement for their film.